In conversation with the jazz cornetist, Warren Vache whose music expresses sentiments and emotions. A dynamic jazz cornetist, Warren Vache’s performance is one thing often leaves you with a soothing feeling. The man is blessed with such n art of playing that the moment you think he is finishing with an interpret; he seamlessly infuses another tune to it, making it sound as it was just meant to be. When Vache plays, you realise that jazz has found a creator whose talent lets him weave music that expresses the beauty of sentiments and emotions. But he didn’t really begin with trumpet at first. He began with piano lessons that laid the foundation of music and its theory for him. “My parents gave me piano lessons as grounding in music and music theory. The instrumental music program started in the American schools in the 4th grade, and my father bought me a cornet so I could join the band,” he reminisces. For Vache to figure out trumpet was his calling came itself. He fell in love with the playing of Louis Armstrong and always knew he wanted to play like him. Eventually, playing the cornet and trumpet became his voice and it was as natural to him as speaking. Being a classified cornetist can be a tricky job at times, but Vache made his own identity and didn’t let anything overshadow him. His style absorbs different kinds of music. 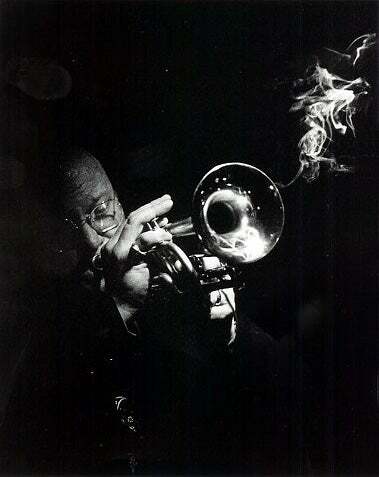 At times you will hear his trumpet play Louis Armstrong, Bobby Hackett, Tom Harrell, Roy Eldridge, Fats Navarro, and Ruby Braff among others. Like many, Vache has had his own tons of people, who have guided him through the early start of his career. When it comes to gaining experiences and learning from the best, playing with well-versed talents always helps. “The older people I have played with were very encouraging and helpful. They would tell you when you did something wrong in no uncertain terms, and I worked to make sure I would not make the same mistake twice. Each of them showed great respect for the music, and I learned to have that respect,” Vache said. Vache who has played in front of thousands before, visited India recently to perform at the VH1 India – Jus Jazz festival. For ages, Jazz has been used as a medium to tell stories and personal experiences. Its rhythm has been used to paint a luscious picture in mind of people who understand the essence of true music. The force of Jazz is such that it courses through every cell of our body and you’re forced to surrender to the beauty and depth of its beats. However, the music industry is changing and so are many musicians transforming the way they play. But Vache isn’t scared of it and continues to play what he is best at. “I am not scared that changing tastes will not accept the way I play. I continue in a great tradition, do my best, and let the rest happen as it will,” he shares. “I play the melodies of the American Songbook, and then try to make up my own melodies that enhance the music." Vache who instantly grabs everyone's attention the moment his mouth plays follows a simple mantra, "Simply, Listen, Practice, Work." The best thing about art and creation is that it impacts and changes the way we look at society. Music plays a prominent role in doing so. Putting it simply Vache said, "Like all music, jazz can influence the way you feel. It can speak to parts of one's being that are otherwise difficult to reach."